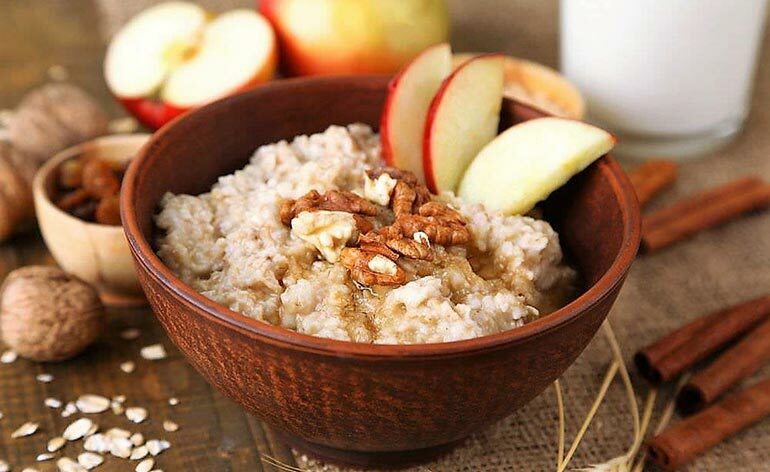 Home » Diet » Top 5 Healthy Porridge Recipes! Winter is looming, this can only mean one thing; comfort food! 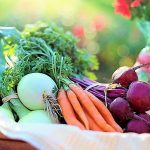 Whilst comfort food tends to be associated with poor food choices, this doesn’t have to be the case. Porridge, for example, is filling, warming and highly nutritious. Not only that, it’s inexpensive, convenient and free from complicated ingredients. To prove my point, I’ve rounded up the Top 5 Healthy Porridge Recipes out there, so read on for some real game changers when it comes to comfort eating! A personal favourite, this porridge is basically Christmas in a bowl. Thinly slice an apple, place on a baking tray, sprinkle with cinnamon and heat in the oven for 5-10 minutes. In the meantime, make your usual porridge using cow’s milk or your preferred alternative (I find soya milk is great for this recipe), add some raisins, chopped walnuts and finally, top with the baked apple. Cinnamon is great for stabilising blood sugar, whilst apples, raisins and walnuts are great sources of fibre; the perfect combination to keep hunger pangs at bay. Move over Mr Kipling…! Top almond milk porridge with warm cherry compote (mixture) and flaked almonds. Cherries are a great source of vitamin C, whilst almonds are high in vitamin E, both of which are important skin-boosting antioxidants. Cherry Bakewell porridge; exceedingly good for you…! Looking to beat your PB (personal best)? This one provides everything you’ll need, even if the weather takes a turn for the worst. Add a sliced banana and sprinkle of cacao nibs to your regular porridge. Bananas contain slow-release carbohydrates and are one of the best sources of potassium which is essential for maintaining muscle function. Magnesium which cacao contains, will also help your muscles perform at their best. For an extra boost, try adding a scoop of vanilla protein powder. Listen up Nutella fans, this one’s for you! Make up your porridge using hazelnut milk, then add cacao nibs and a dollop of hazelnut butter. The cacao nibs provide an antioxidant and caffeine hit, whilst the protein and healthy fats from the nut butter prolong feelings of fullness. For those craving the taste of the sun, make up your porridge using coconut milk, then simply stir in chunks of pineapple and mango. Coconut milk is a great source of electrolytes, pineapple is bursting with vitamin C, and mango is rich in vitamin A, all of which are vital to optimise your immune system. As far as comfort food goes, porridge is a great choice for those looking for a convenient, healthy breakfast, brunch or snack on a budget; oats are high in fibre and slow release carbs, as well as B vitamins and minerals. However, you’re missing a trick if you simply have your porridge plain, simply add wholesome toppings a la Jamie Oliver in the video above! Tomorrow, why not try one of the above recipes to supercharge your oats, your new favourite breakfast awaits…! Got a fab oaty recipe that gets you supercharged and ready for the day? Let us know below, or on Facebook and follow us on Twitter!